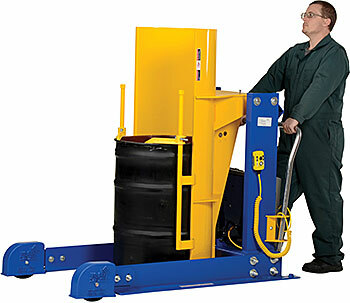 Vestil HDD-48-10-P Drum Dumper is designed to dump drums weighing up to 1,000 LBS. at dump heights of 36, 48”, 60” or 72” depending on model. 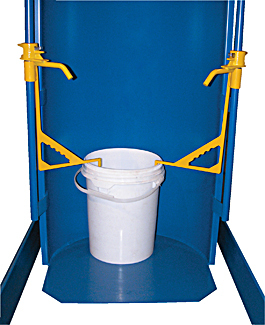 This portable drum dumper may be used with 55 and 30 gallon plastic, steel and fiber drums. A powerful 115V, 56 frame, ¾ hp motor hydraulically actuates the steel powder coated chute to a maximum dump angle of 45°. A hand held pendent control on an 8’ coil cord controls chute rotation. 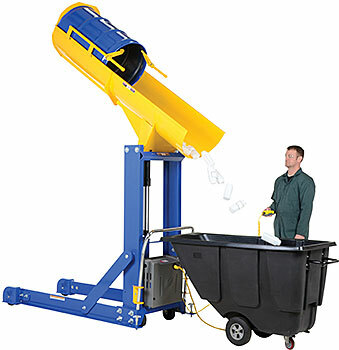 Dumper rolls smoothly on two front rigid and two rear swivel casters and includes T-Handle floor locks. The HDD-48-10-P hydraulic drum dumper features all steel construction for years of reliable service. Optional stainless steel chute and FDA white powder coated frame rated for incidental food contact is available. The Vestil HDD-48-10-P is built to order with an estimated lead time of 15 to 20 business days to leave the warehouse. To ensure that the proper size is ordered please complete the Portable Drum Dumper Survey using the link above. Stainless Steel Chute Option - chute is constructed of 304 Stainless Steel in mill finish. 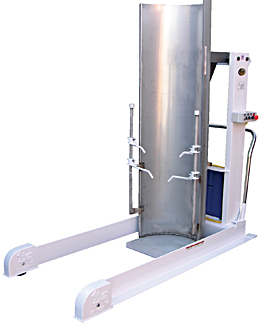 Includes stainless steel chute, base plate, vertical height bars and welded brackets. Back of chute & frame is painted with enamel paint. Adjustable height clamps are coated in Steel-It™ coating. Please contact us for more information. FDA White Powder Coated Frame- rated for incidental contact with food - Please contact us for information. Need a Drum Cone, Drum Faucet, or Drum Pump? Click on the links below to view selection.